Alisha Christian says: What a cutey! ~ Reply? Ellen Million says: Kitsune!! So adorable! :)	~ Reply? Jenny Heidewald says: Thank you! 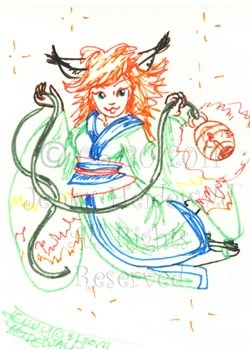 I was trying for a fire pattern on her kimono, the sleeves at least. :)	~ Reply?